An outstanding Norwegian polar traveler and explorer, a great discoverer. 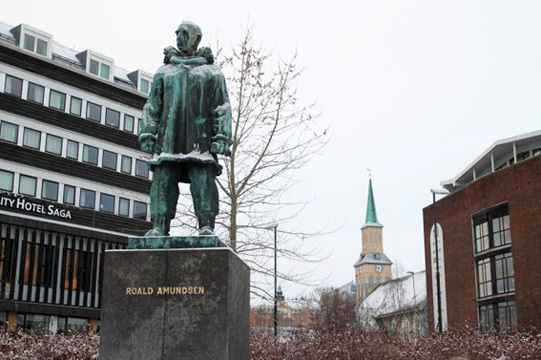 A special place of Amundsen in the pleiad of world-famous polar explorers is that, at the forefront of his expeditions, he put, first of all, not scientific research, but the achievement of objects that were inaccessible to others, overcoming what others could not overcome. He attracted mainly sports passion to the Arctic, scientific research was one of the means, a lure for expanding the circle of people interested in conducting expeditions and obtaining the necessary allocations. He always went on record. Born in Borg, in the family of the captain, the owner of the shipyard Vervins. After the death of his father, his family moved to Christiania (now Oslo). A great role in shaping Amundsen’s interests and choosing his life path was played by a book by the English polar explorer J. Franklin, read at the age of fifteen, about his expedition that explored the Arctic coast of North America between the Hudson Bay and the Mackenzie estuary. As Amundsen himself later wrote, he wanted to test himself in similar tests. 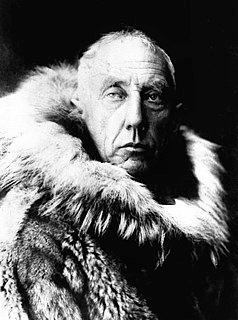 Amundsen became interested in reading books about Arctic travels. The subsequent expedition of Franklin in 1845, which ended tragically, and its long-term search stimulated the study of the Northwest Passage, which ran through a series of narrow straits, almost constantly clogged with ice. This passage was studied in parts, but Amundsen set about trying to go through it entirely. Realizing that the Arctic navigator should be well prepared both physically and morally, Amundsen, being naturally painful, began to harden his body and go in for sports. Before the realization of his dreams, years had to pass. At the insistence of the mother, after graduating from the gymnasium, Amundsen entered the medical faculty of the university, but after his mother died, he left it. It was not in this that he saw his life purpose. After compulsory military service, he independently studied the navigational business. To acquire practical skills, she sailed on fishing sailing ships in the Greenland Sea and then passed the exam for the navigator. 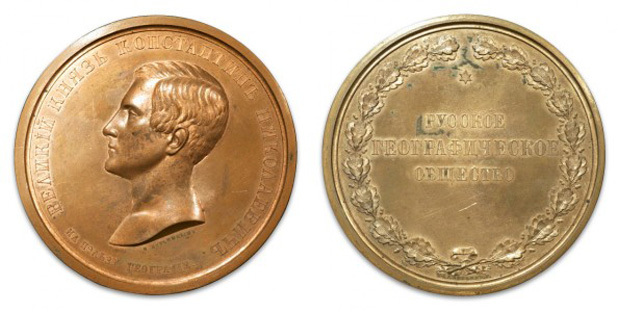 The second half of the XIX century was marked by a number of Arctic and Antarctic research. The star of F. Nansen, triumphantly completing his outstanding expedition on the Fram. This further inflamed the ambitious Amundsen. Learning about the preparation of the Belgian expedition, which aimed to open the south magnetic pole, he met its leader Adrienne de Gerlache and offered him his services. The Belgian immediately appreciated Amundsen and appointed him navigator of the expedition ship "Belzhik". The expedition lasted two years and did not reach its main goal. The vessel fell into a thirteen-month ice drift. Only four crew members, including Amundsen and the American doctor F. Cook, were prepared for life in polar conditions. This expedition turned out to be a great school of polar travel for a beginner polar explorer. Amundsen understood that success can only be ensured by careful thoughtfulness to the smallest detail and the preparation of equipment, food, as well as the selection of participants and the organization of life. He was ready for the realization of his first dream - the conquest of the Northwest Passage. Amundsen seriously studied and analyzed the experience of all previous voyages in the area and understood one very important thing: one of the main reasons for many failures was the use of bulky vessels and numerous teams. For sailing in narrow, winding ice-covered straits of the Canadian Arctic archipelago that have a narrow and shallow channel most of the year, small vessels with shallow draft are better suited. In addition, in the Arctic, it is difficult to provide food for large detachments, while small groups of trained people will always be able to obtain food for successful hunting there. Based on these considerations, in 1900 he acquired a small but reliable vessel, the Joa, and took only six people with him. Amundsen was greatly appreciated by the great polar explorer and the man of Nansen. He approved the plan proposed by Amundsen, recommending to strengthen the scientific side of the voyage. Support for such authority, the national idol was already half the case. Nevertheless, the search for appropriations turned out to be quite a difficult problem, while resolving which Amundsen had to display his own remarkable abilities and penetrating power. He managed to get a large sum from the state, besieged everyone and everything, took many goods on bail "Joa". Having exhausted all the possibilities, he sailed in secret. 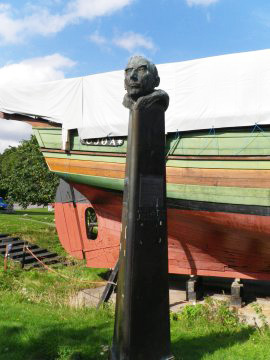 On the night of June 16-17, 1903, the Joa left Christiania (Oslo). In order to achieve his goal, Amundsen could have renounced some ethical norms, adopting the principle of "no one judges the winners." Taking into account the advice of Nansen, in addition to the passage through the Northwest Passage, Amundsen set as his goal the study of the magnetic N Pole. 1903 was surprisingly favorable in terms of ice. 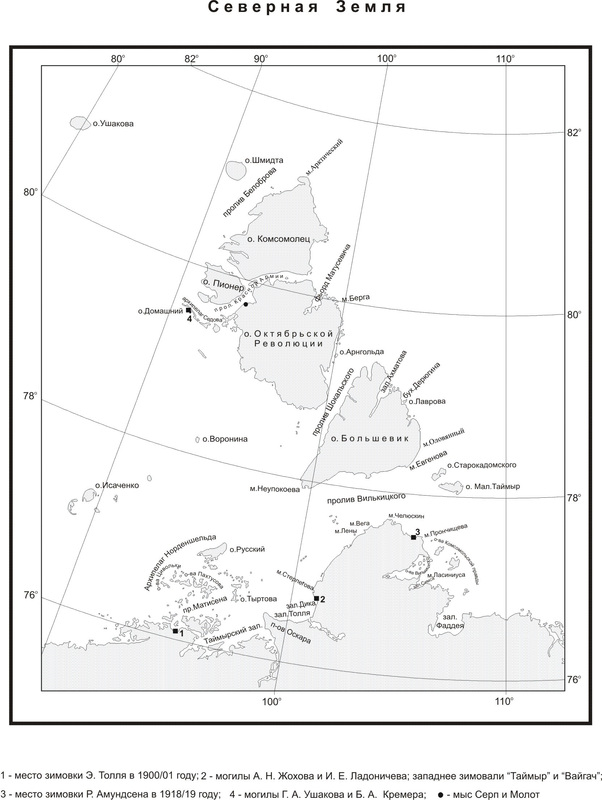 On the clear water "Joa" passed the straits of Lancaster, Peel and Franklin, and already on August 30, reached the western coast of the Butiya Peninsula , where, according to James Ross , the North Magnetic Pole is located. The journey that took Franklin a year turned out to be covered in a few weeks. 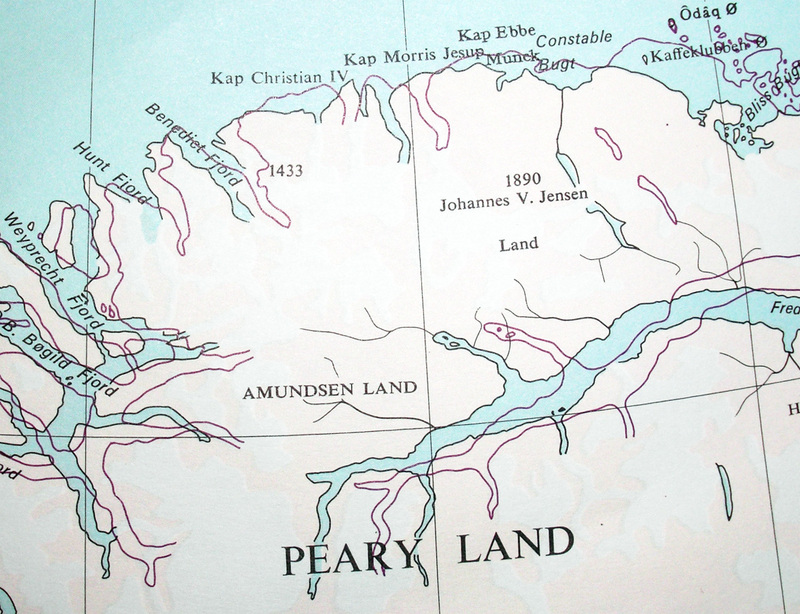 Moving further south, Amundsen did not go to the passage. Victoria, where the ships were stopped Franklin "Erebus" and "Terror", and in the Pr. James Ross washing about. King William from the east. The passage to the American continent was open, but Amundsen was supposed to achieve the second goal of the march - conducting magnetic observations. On September 12, having traveled a considerable part of the way, the ship began to winter in a bay on the southeastern tip of Fr. King-William , later called the Joa harbor. The ice situation was such that the expedition had to spend two winterings at this place. A whole Eskimo town gradually formed around the ship’s berth. During the entire camp, polar explorers made continuous magnetic and meteorological observations, made long hikes to more accurately determine the location of the magnetic pole. Close communication with the Eskimos allowed Amundsen to study their language, life, life and traditions, to assemble a rich collection of Eskimo household items, which he returned to the Norwegian ethnographic museums. Only in August 1905 the ship was able to continue its journey through the maze of unexplored shallow straits. It was the most intense period during the expedition. Amundsen wrote later: “I will not deny that I was very nervous during these last days. The idea that here during this painful voyage we run the risk of destroying all our own, which until then had been so successfully developing, the enterprise was not a pleasant one; but it was always close to such a fate! I personally fell responsibility for everything - both for people and for the ship. And I could not get rid of the thought of returning home with an unfulfilled task. ” The excellent nautical qualities of Joa, the dedication and skill of the team made it possible to overcome all dangers. On August 26, Amundsen, who was resting after the watch, heard the noise and rush on the deck, and then Lieutenant Hansen burst into his cabin and shouted "unforgettable" words: "The ship is seen!". The Northwest Passage was passed. The nervous tension experienced by the expedition leader was not in vain. He wrote that then everyone defined his age in the range of 59–75 years, although he was only 33 years old. The expedition had to go through the third wintering. “Joa” was caught by ice in the Beaufort Sea north of the Mackenzie Delta . During the third wintering, Amundsen managed to make a 700-kilometer sleigh ride across the spurs of Brooks’s ridge to Fort Egbert, where there was a telegraph, and notify the world of his victory. In July, the Joa continued on its way, and in October dropped anchor in the port of San Francisco. Amundsen gave this city his ship, which was put there for eternal parking. House Amundsen waited a great disappointment. He did not receive the prize due to him for the conquest of the Northwest Passage, which, as it turned out, had been paid many years before to English Admiral R. McClure , who came to West from the west. Banks, then was forced to leave the ship, part of the way he did on the ice and reached the continent with the help of a rescue expedition. Amundsen was deeply hurt by this, moreover, he expected to spend a premium to cover numerous debts. To obtain the necessary funds, he had in the years 1906-1907. travel around Europe and America with lectures about your trip. The Amundsen expedition brought important scientific advances in geomagnetism, meteorology, and ethnography. In particular, it turned out that for 70 years since the discovery of the North Magnetic Pole by James Ross, he moved 3 ° to the north. Amundsen's next plan was to try to repeat Nansen’s voyage on the Fram, but in view of his experience regarding the choice of the starting point of the drift. 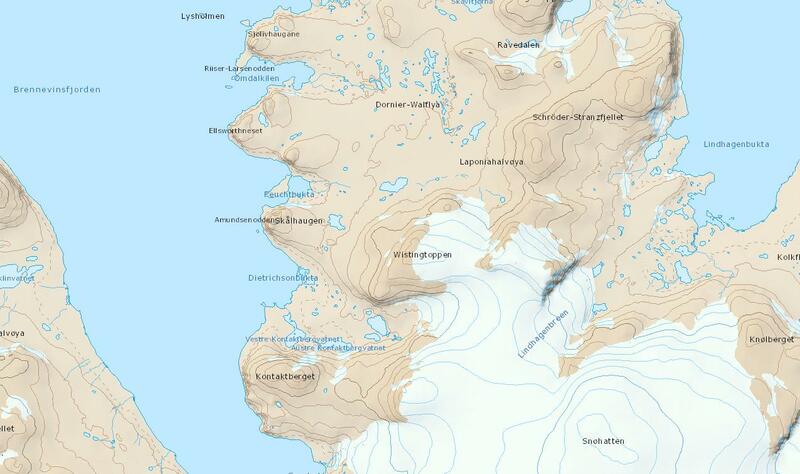 In order for the drift to pass through the pole, Amundsen planned to freeze into ice much east of Nansen: not in the north-eastern part of the Laptev Sea, but in the northern part of the Chukchi Sea. This was supposed to be a grand seven-year expedition that promised to give colossal scientific results. For this expedition, the noble Nansen gave up his Fram to Amundsen, although he himself cherished the dream of sailing to the South Pole. He considered that the concept of Amundsen was more important for science. Amundsen was not going to reach the Chukchi Sea not by the Northeast Passage, but by the southern route, rounding Africa and Asia. However, after learning of the discovery of the North Pole R. Pirie in 1909 that no one doubted then, Amundsen lost interest in the Arctic expedition. He always sought to be the first and for the sake of this could sacrifice any scientific discoveries. Amundsen changes his intentions and decides to go to the South Pole, informing only a very narrow circle of the most trusted people. He did not find the strength to inform Nansen about this. “Winners are not judged” - this is his credo. The world learned about the decision of Amundsen only when the "Fram" from Fr. Madeira turned south to Antarctica. The sensation was deafening, especially since at the same time the English expedition of R. Scott set out for Antarctica for the same purpose. The race to the South Pole began, in which Amundsen's nature was fully manifested - to go forward to victory, without regard to anyone or anything. The only person on Earth whom Amundsen treated with the deepest respect, and whose opinion was of great importance to him, was Nansen. In a letter to him, Amundsen apologized for what he did and gave an explanation for his action. Its essence was that after the discovery of the North Pole, it was not he who lost interest in going to the Arctic Ocean, but the entire world community, as a result of which it would not be possible to collect the necessary funds for a multi-year expedition. Success in reaching the South Pole will help him get financial support for the northern expedition, from which he is not going to give up. Thus, his decision was forced. Of course, everything was sewn with white thread, but Amundsen himself believed it. The reaction of Nansen to this news once again shows the greatness of this man. Of course, he had to feel deceived, but managed to rise above personal grievances and forgave Amundsen. The daughter of Nansen Odd, during a personal meeting with A.F. Treshnikov in 1969, said that his father was very sorry that Amundsen had not informed him of his new plans, since he could give him some advice. In mid-January 1911, i.e. at the height of summer in the southern hemisphere, the Fram approached the ice ice in the Whale Bay. The expedition base was organized four kilometers from the edge. In this summer season, the land part of the expedition arranged three food warehouses at 80°, 81° and 82° S. During the winter, all forces were sent to prepare for the storming of the pole. The pole game of five people on four sleighs with 52 dogs started on October 19, 1911. At first, they moved along the hilly surface of the Ross Glacier, clearly entering their warehouses. At 85 °, the glacier ended and began a rather steep climb, at the foot of which the travelers organized a main warehouse with a 30-day supply. They took food for 60 days with them, hoping to make their way to the pole and back during this time. Almost the entire route took place in foggy misty weather, which sharply complicated the already most difficult movement along the cracked glacier. On December 7, it was possible to determine and establish that they are located at 88° 16' S: 193 km remained to the pole. The last stage of the path was easier, as it passed through a snow-covered high-altitude plateau. On the same day, December 7, the latitude reached 88° 23 - the point to which the group of Englishman E. Shackleton had previously reached, but under the threat of starvation was forced to turn back before reaching the pole 180 km. December 17, the instruments showed that they are at the pole. To play it safe, the two members of the group walked another 7 km beyond the pole. At the pole was put a tent, above it the Norwegian flag. In the tent, Amundsen left a letter to the Norwegian king with a brief report on the campaign and a note to his rival Scott. The note on the form was benevolent, but not without poisonous overtones. The inscription “Welcome” displayed on the tent looked rather offensive in such a situation. For her, Amundsen was subsequently condemned by many. 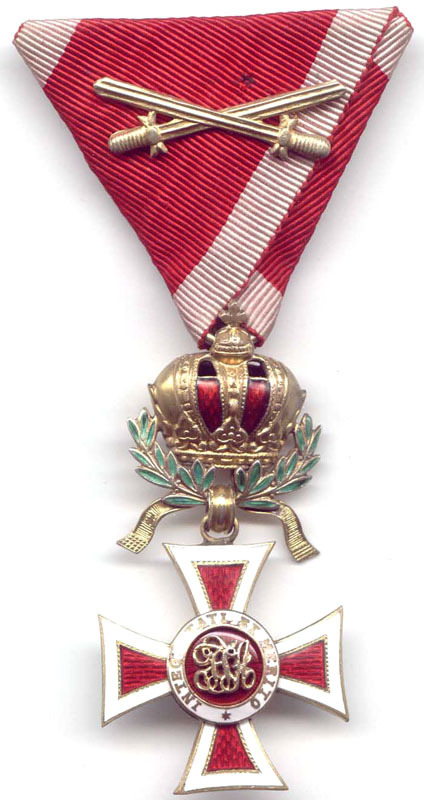 He was temporarily expelled from the polar club of the Norwegian capital and received an oral reprimand from his king. On December 18, the Norwegians headed back and after 39 days returned to the coastal base. The whole sleigh trip took 99 days. By the time they returned, the Fram was already in Whale Bay. March 7, from Hobart in Tasmania, Amundsen informed the world about the successful completion of the expedition. Upon his return, Amundsen first came to Nansen. Embarrassed, he approached Nansen, and he stretched out his hand to him and warmly congratulated him on his happy return and accomplishment. After the Antarctic expedition, Amundsen did not abandon the idea of ​​repeating the drift of Nansen across the Arctic Ocean. He could not leave her, because otherwise it would have turned out that he had deceived Nansen. Amundsen could step over anyone, but not through his idol. The outbreak of world war pushed aside the moment of realization of his plans, but Amundsen did not waste time and used these years to noticeably improve his financial situation by investing his capital in the shares of shipping companies. This money should have been enough to organize the planned expedition. In 1917, the new ship of the Maud expedition was built, since the Fram, according to Amundsen, was already incapable of ice navigation. In the summer of 1918, polar explorers traveled to the Arctic from Tromso. It was decided to go to the Bering Sea not by the southern route, as planned earlier, but along the northern coast of Russia. A prominent Norwegian polar traveler and explorer, a great discoverer. A special place of Amundsen in the pleiad of world-famous polar explorers is that, at the forefront of his expeditions, he put, first of all, not scientific research, but the achievement of objects that were inaccessible to others, overcoming what others could not overcome. He attracted mainly sports passion to the Arctic, scientific research was one of the means, a lure for expanding the circle of people interested in conducting expeditions and obtaining the necessary allocations. He always went on record. Born in Borg, in the family of the captain, the owner of the shipyard Vervins. After the death of his father, his family moved to Christiania (now Oslo). A great role in shaping Amundsen’s interests and choosing his life path was played by a book by the English polar explorer J. Franklin, read at the age of fifteen, about his expedition that explored the Arctic coast of North America between the Hudson Bay and the Mackenzie estuary. As Amundsen himself later wrote, he wanted to test himself in similar tests. Amundsen became interested in reading books about Arctic travels. The subsequent expedition of Franklin in 1845, which ended tragically, and its long-term search stimulated the study of the Northwest Passage, which ran through a series of narrow straits, almost constantly clogged with ice. This passage was studied in parts, but Amundsen set about trying to go through it entirely. Realizing that the Arctic navigator should be well prepared both physically and morally, Amundsen, being naturally painful, began to harden his body and go in for sports. Before the realization of his dreams, years had to pass. At the insistence of the mother, after graduating from the gymnasium, Amundsen entered the medical faculty of the university, but after his mother died, he left it. It was not in this that he saw his life purpose. After compulsory military service, he independently studied the navigational business. To acquire practical skills, she sailed on fishing sailing ships in the Greenland Sea and then passed the exam for the navigator. 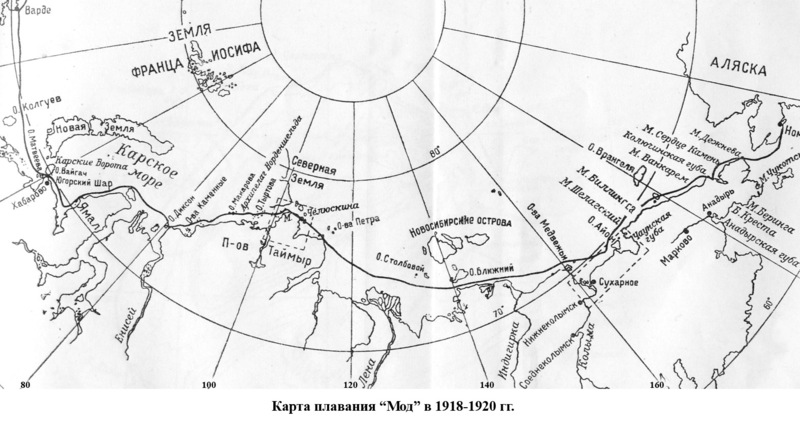 The second half of the XIX century was marked by a number of Arctic and Antarctic research. The star of F. Nansen rose , triumphantly completing his outstanding expedition on the Fram. This further inflamed the ambitious Amundsen. Learning about the preparation of the Belgian expedition, which aimed to open the south magnetic pole, he met its leader Adrienne de Gerlache and offered him his services. The Belgian immediately appreciated Amundsen and appointed him navigator of the expedition ship "Belzhik". The expedition lasted two years and did not reach its main goal. The vessel fell into a thirteen-month ice drift. Only four crew members, including Amundsen and the American doctor F. Cook, were prepared for life in polar conditions. This expedition turned out to be a great school of polar travel for a beginner polar explorer. Amundsen understood that success can only be ensured by careful thoughtfulness to the smallest detail and the preparation of equipment, food, as well as the selection of participants and the organization of life. He was ready for the realization of his first dream - the conquest of the Northwest Passage. 1903 was surprisingly favorable in terms of ice. 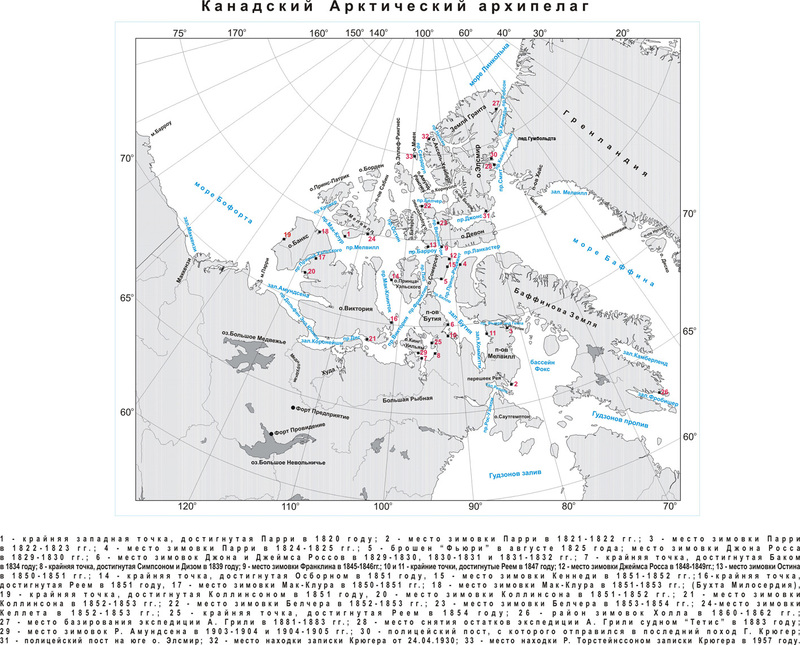 On the clear water "Joa" passed the straits of Lancaster, Peel and Franklin, and already on August 30, reached the western coast of the Butiya Peninsula , where, according to James Ross , the North Magnetic Pole is located. The journey that took Franklin a year turned out to be covered in a few weeks. Moving further south, Amundsen did not go to the passage. Victoria, where the ships were stopped Franklin "Erebus" and "Terror", and in the Pr. James Ross washing about. King William from the east. The passage to the American continent was open, but Amundsen was supposed to achieve the second goal of the march - conducting magnetic observations. On September 12, having traveled a considerable part of the way, the ship began to winter in a bay on the southeastern tip of Fr. King-William , later called the Joa harbor. The ice situation was such that the expedition had to spend two winterings at this place. A whole Eskimo town gradually formed around the ship’s berth. During the entire camp, polar explorers made continuous magnetic and meteorological observations, made long hikes to more accurately determine the location of the magnetic pole. Close communication with the Eskimos allowed Amundsen to study their language, life, life and traditions, to assemble a rich collection of Eskimo household items, which he returned to the Norwegian ethnographic museums. Only in August 1905 the ship was able to continue its journey through the maze of unexplored shallow straits. It was the most intense period during the expedition. Amundsen wrote later: “I will not deny that I was very nervous during these last days. The idea that here during this painful voyage we run the risk of destroying all our own, which until then had been so successfully developing, the enterprise was not a pleasant one; but it was always close to such a fate! I personally fell responsibility for everything - both for people and for the ship. And I could not get rid of the thought of returning home with an unfulfilled task”. The excellent nautical qualities of Joa, the dedication and skill of the team made it possible to overcome all dangers. On August 26, Amundsen, who was resting after the watch, heard the noise and rush on the deck, and then Lieutenant Hansen burst into his cabin and shouted "unforgettable" words: "The ship is seen!". The Northwest Passage was passed. The nervous tension experienced by the expedition leader was not in vain. He wrote that then everyone defined his age in the range of 59–75 years, although he was only 33 years old. The expedition had to go through the third wintering. "Joa" was caught by ice in the Beaufort Sea north of the Mackenzie Delta. During the third wintering, Amundsen managed to make a 700-kilometer sleigh ride across the spurs of Brooks’s ridge to Fort Egbert, where there was a telegraph, and notify the world of his victory. In July, the Joa continued on its way, and in October dropped anchor in the port of San Francisco. Amundsen gave this city his ship, which was put there for eternal parking. House Amundsen waited a great disappointment. He did not receive the prize due to him for the conquest of the Northwest Passage, which, as it turned out, had been paid many years before to English Admiral R. McClurewhich came from the west to Fr. Banks, then was forced to leave the ship, part of the way he did on the ice and reached the continent with the help of a rescue expedition. Amundsen was deeply hurt by this, moreover, he expected to spend a premium to cover numerous debts. To obtain the necessary funds, he had in the years 1906-1907. travel around Europe and America with lectures about your trip. The Amundsen expedition brought important scientific advances in geomagnetism, meteorology, and ethnography. In particular, it turned out that for 70 years since the discovery of the North Magnetic Pole by James Ross, he moved 3 ° to the north. Amundsen's next plan was to try to repeat Nansen’s voyage on the Fram, but in view of his experience regarding the choice of the starting point of the drift. In order for the drift to pass through the pole, Amundsen planned to freeze into ice much east of Nansen: not in the north-eastern part of the Laptev Sea, but in the northern part of the Chukchi Sea. This was supposed to be a grand seven-year expedition that promised to give colossal scientific results. For this expedition, the noble Nansen gave up his Fram to Amundsen, although he himself cherished the dream of sailing to the South Pole. He considered that the concept of Amundsen was more important for science. Amundsen was not going to reach the Chukchi Sea not by the Northeast Passage, but by the southern route, rounding Africa and Asia. However, after learning of the discovery of the North Pole R. Pirie in 1909 that no one doubted then, Amundsen lost interest in the Arctic expedition. He always sought to be the first and for the sake of this could sacrifice any scientific discoveries. Amundsen changes his intentions and decides to go to the South Pole, informing only a very narrow circle of the most trusted people. He did not find the strength to inform Nansen about this. “Winners are not judged” - this is his credo. The world learned about the decision of Amundsen only when the "Fram" from Fr. Madeira turned south to Antarctica. The sensation was deafening, especially since at the same time the English expedition of R. Scott set out for Antarctica for the same purpose. The race to the South Pole began, in which Amundsen's nature was fully manifested - to go forward to victory, without regard to anyone or anything. The only person on Earth whom Amundsen treated with the deepest respect, and whose opinion was of great importance to him, was Nansen. In a letter to him, Amundsen apologized for what he did and gave an explanation for his action. Its essence was that after the discovery of the North Pole, it was not he who lost interest in going to the Arctic Ocean, but the entire world community, as a result of which it would not be possible to collect the necessary funds for a multi-year expedition. Success in reaching the South Pole will help him get financial support for the northern expedition, from which he is not going to give up. Thus, his decision was forced. Of course, everything was sewn with white thread, but Amundsen himself believed it. The reaction of Nansen to this news once again shows the greatness of this man. Of course, he had to feel deceived, but managed to rise above personal grievances and forgave Amundsen. The daughter of Nansen Odd, during a personal meeting with A.F. Treshnikov in 1969, said that his father was very sorry that Amundsen had not informed him of his new plans, since he could give him some advice. In mid-January 1911, i.e. at the height of summer in the southern hemisphere, the Fram approached the ice ice in the Whale Bay. The expedition base was organized four kilometers from the edge. In this summer season, the land part of the expedition arranged three food warehouses at 80°, 81° and 82° S. During the winter, all forces were sent to prepare for the storming of the pole. The pole game of five people on four sleighs with 52 dogs started on October 19, 1911. At first, they moved along the hilly surface of the Ross Glacier, clearly entering their warehouses. At 85 °, the glacier ended and began a rather steep climb, at the foot of which the travelers organized a main warehouse with a 30-day supply. They took food for 60 days with them, hoping to make their way to the pole and back during this time. Almost the entire route took place in foggy misty weather, which sharply complicated the already most difficult movement along the cracked glacier. On December 7, it was possible to determine and establish that they are located at 88 ° 16 'S: 193 km remained to the pole. The last stage of the path was easier, as it passed through a snow-covered high-altitude plateau. On the same day, on December 7, the latitude reached 88 ° 23 ° - the point to which the group of Englishman E. Shackleton had previously reached, but under the threat of starvation was forced to turn back before reaching 180 km of the pole. December 17, the instruments showed that they are at the pole. To play it safe, the two members of the group walked another 7 km beyond the pole. At the pole was put a tent, above it the Norwegian flag. In the tent, Amundsen left a letter to the Norwegian king with a brief report on the campaign and a note to his rival Scott. The note on the form was benevolent, but not without poisonous overtones. The inscription “Welcome” displayed on the tent looked rather offensive in such a situation. For her, Amundsen was subsequently condemned by many. He was temporarily expelled from the polar club of the Norwegian capital and received an oral reprimand from his king. On December 18, the Norwegians headed back and after 39 days returned to the coastal base. The whole sleigh trip took 99 days. By the time they returned, the Fram was already in Whale Bay. March 7, from Hobart in Tasmania, Amundsen informed the world about the successful completion of the expedition. Upon his return, Amundsen first came to Nansen. Embarrassed, he approached Nansen, and he stretched out his hand to him and warmly congratulated him on his happy return and accomplishment. After the Antarctic expedition, Amundsen did not abandon the idea of ​​repeating the drift of Nansen across the Arctic Ocean. He could not leave her, because otherwise it would have turned out that he had deceived Nansen. Amundsen could step over anyone, but not through his idol. The outbreak of world war pushed aside the moment of realization of his plans, but Amundsen did not waste time and used these years to noticeably improve his financial situation by investing his capital in the shares of shipping companies. This money should have been enough to organize the planned expedition. In 1917, the new ship of the Maud expedition was built, since the Fram, according to Amundsen, was already incapable of ice navigation. In the summer of 1918, polar explorers traveled to the Arctic from Tromso. It was decided to go to the Bering Sea not by the southern route, as planned earlier, but along the northern coast of Russia. Having passed without any problems to Cape Chelyuskin , the polar explorers were forced to winter for the winter 20 miles east of it . Amundsen wrote about this: “Explore this area comprehensively, of course, not useless work. That the coast must be carefully mapped is undoubtedly that we have long been convinced of this by swimming in these waters. Therefore, without much grief, I felt that we were overwhelmed here. On the contrary, it pleased me: the more tasks we can accomplish. ”The winter as a whole went well. Throughout the period, continuous hydrological, meteorological and geophysical observations were conducted, botanical and zoological collections were collected. 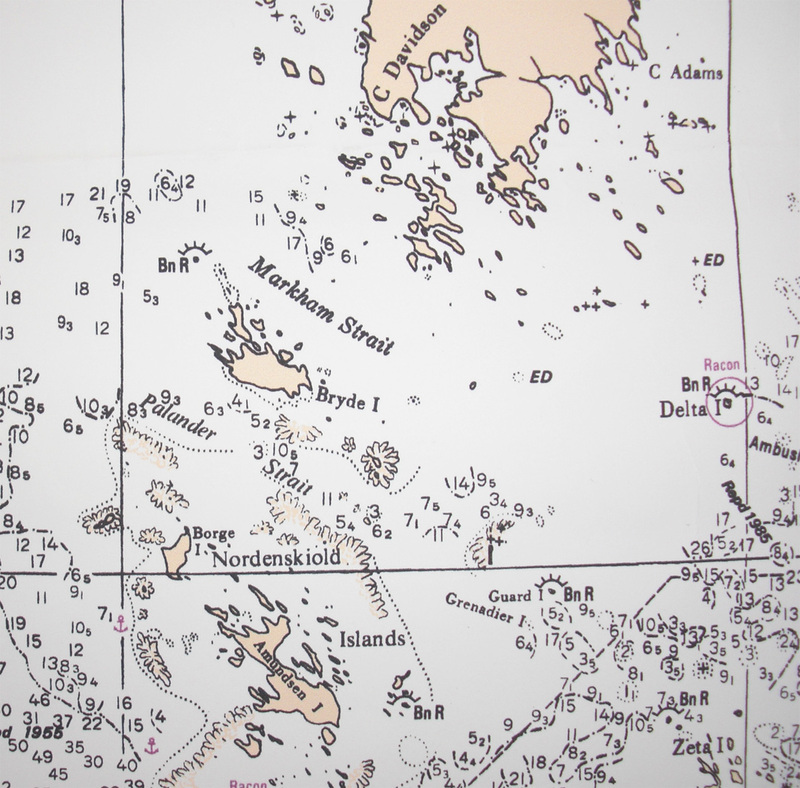 A number of sled routes made it possible to significantly clarify the map of the coast near the Maud site. It was possible to free from the ice captivity only in September. There was a moment when there really was a question about the second wintering, which the resilient Amundsen planned to use to describe the Northern Earth. However, on September 11, the ice suddenly broke, and Maud moved east. After 12 days, managed to reach Fr. 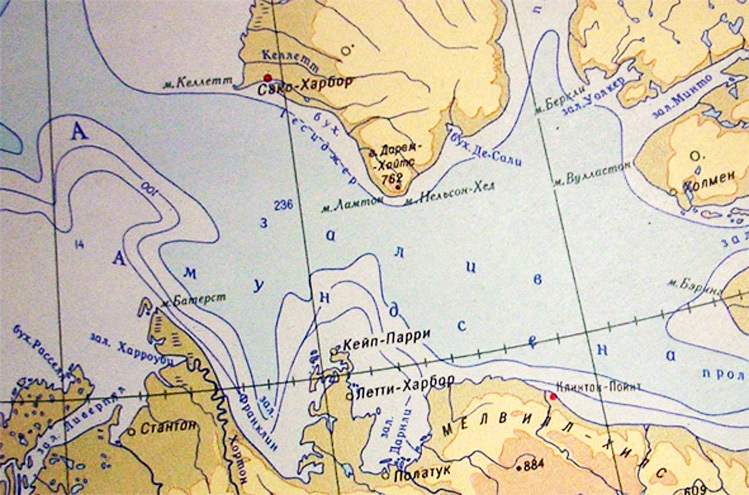 Aion in the East Siberian Sea, where it was necessary to winter again. It was only in July 1920 that the Maud was able to get out of the ice and go to Alaska for repairs and restocking before a long drift. Amundsen wrote with justifiable pride: “... I batted this way with the path I walked along the Northwest Passage in 1906, and thus made the first voyage around the world around the Arctic Ocean.” By the time he left Nom , only four people remained on the ship. An attempt to freeze into the ice failed. The ship was seriously damaged and was forced to go to Seattle for repairs. Four years have passed, and the expedition has not actually started the main task yet. By this time all the money ran out, but Amundsen did not give up. A part of the funds was allocated by the Storting, Amundsen gave numerous lectures, addressed the patrons of art. However, by this time he was already interested in the idea of air flights in the Arctic. In order to come to grips with it, Amundsen handed over the leadership of the expedition on Maud to the captain of the ship, Wishing and H. Sverdrup . A new, “ballooning” stage of his life began. In 1925, Amundsen realized the flight to the pole on two Dornier-Val seaplanes, which almost ended tragically. 1000 km from Svalbard planes made an emergency landing on the ice, while one of them received irreparable damage. On the second plane after a 24-day runway preparation, we managed to get up into the air and reach the open water, where the aeronauts were picked up by a small fishing vessel. In 1926, Amundsen headed the 1st transarctic flight on the airship "Norway" on the route Spitsbergen - North Pole - Alaska. The designer of the airship and its captain in flight was the Italian U. Nobile. Amundsen was at the height of his fame, but in many respects thanks to the raised newspaper hype, gossip, slander, unreasonable attacks, his once friendly relationship with Nobile sharply deteriorated. Offended Amundsen, who believed that his role in the expedition was lowered, departed from the preparation of the next trans-arctic flight on the airship “Italia”. As you know, this flight took place in 1928 and ended with the disaster of the airship. Many countries have been searching for the missing expedition. Specifically, Amundsen, apparently, in view of his relationship with Nobile, participation in them was not proposed, but he, as a true polar explorer, decided to prepare his expedition. However, funds for the purchase of a suitable aircraft and the necessary equipment could not be obtained, and Amundsen accepted the offer of the famous French pilot R. Gilbo to fly on the twin-engine “Latham-47” seaplane, which was preparing to fly across the Atlantic. Departure took place on June 18 at 16 o'clock from Tromso. After 1 hour and 40 minutes, the pilots requested information about the ice situation in Fr. Bearish. This was the last connection with the aircraft. Days, weeks passed, no one wanted to believe in the death of Amundsen, a man who many times found himself in the most tragic circumstances and always with honor left him. However, on August 31 all hopes fell. The crew of the Norwegian fishing vessel "Brod" found in the sea a float with the inscription "Latham-47". Rual Amundsen and his companions died in the waters of the Barents Sea. How it happened, nobody still knows. This was the first expedition of Amundsen, organized not by himself, she was his last expedition. 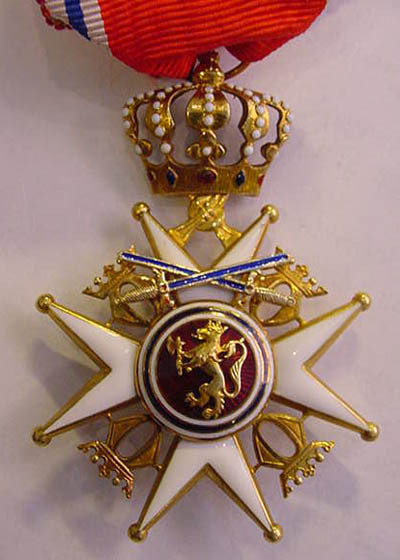 Merit Amundsen awarded the Order of St. Olaf , Leopold I , Legion of Honor , the highest US civilian medal of the US Congress, the National Geographic Society of the USA Hubbard medal, the Danish medal " For Merit ", the Constantine Medal of the RGO. Of course, as a polar traveler, Amundsen surpassed everyone, even Nansen himself, but he was far from Nansen the scientist, and most importantly, Nansen the man. in the birthplace of Amundsen, he was given monuments in Oslo and Tromsø. In 1972, in the year of the centenary of Amundsen, the Norwegian government donated to the USSR its bust with a request to establish it in the Arctic and Antarctic Institute. 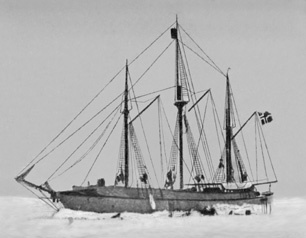 Expedition Amundsen on "Mod" given the name of many objects of the Russian Arctic. Only one is named after him. Cape in Maude Bay on the northeast coast of Taimyr. Named topographers p / c "Cape Chelyuskin" in 1937. Amundsen himself called him "Cape Maud". 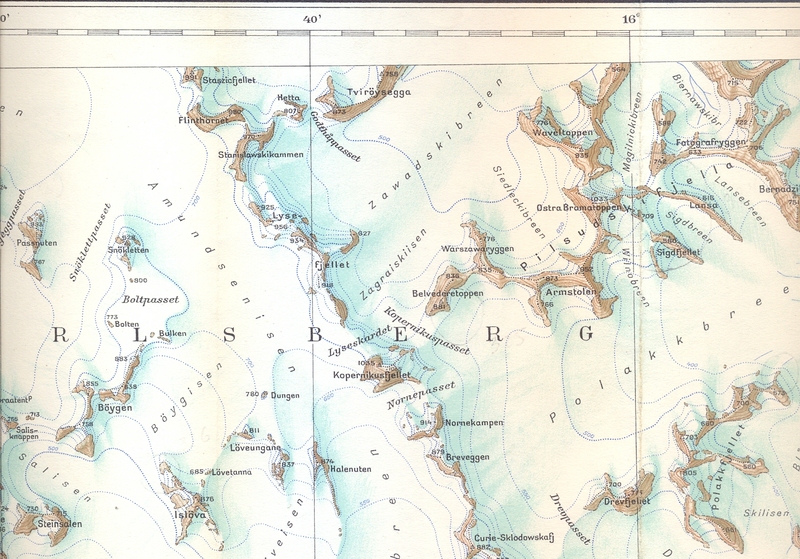 Peninsula (Land Amundsen) on the northwest coast of Greenland. An island in the islands of Nordenskjold in the Canadian Arctic Archipelago. Cape north of Dietrichsonbukta on the east coast of Brennevinsfjorden, Fr. Northeastern Land, Svalbard. The coordinates are 80°15.0'N 19°40.0'E. Bay of the Beaufort Sea. It was discovered and examined in 1826 by the detachment of J. Richardson of the expedition of J. Franklin. Glacier on the Torell Land, West Spitsbergen Island.